Our dog horoscopes are really just for fun and written especially for Miniature Schnauzers but...... could they end up providing you with some helpful hints and insights to better understand the dog(s) in your household? 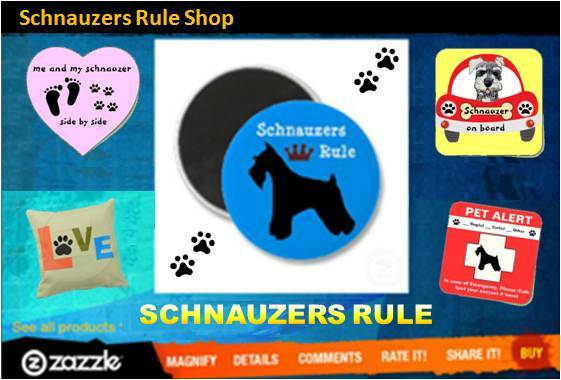 Just why does your Miniature Schnauzer act a certain way... even when it's not a typical characteristic of the breed? Could it be because of his astrological sign? 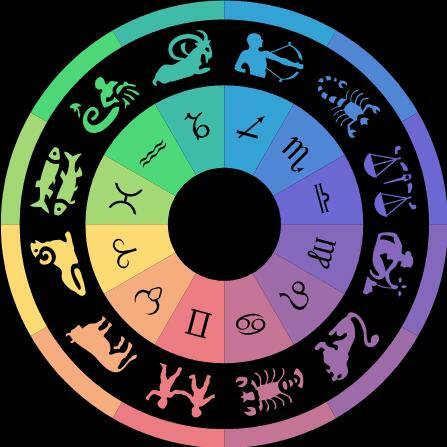 Read what your dog's sign says about them and see if your dog's horoscope is accurate. 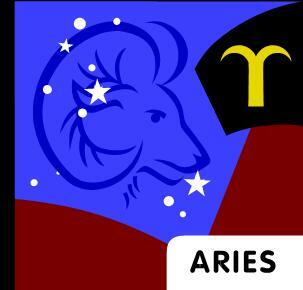 Aries Dog Personality Traits: Independent, Enthusiastic, and Courageous. The Aries dog is full of energy with no desire to lay around all day. You love to be outside and explore new things, which sometimes gets you into trouble. You're a bit of a show off and like impressing others with all the tricks you know how to do. If you don't receive adequate attention you tend to become a little destructive by chewing on throw rugs, shoes, or furniture. You love your family and will protect and defend your home no matter what. Your lucky dog number is 3. Taurus Dog Personality Traits: Dependable, Loyal, and Self-Indulgent. Slow and steady is the motto of the Taurus dog. Hey, you got all day, right? So what’s the hurry? You like finding that perfect spot in your home to take a snooze. In fact, if lounging were a sport, you would win the gold medal! The Taurus dog will not be ruled but is the king of his castle. You can be a bit stubborn and like getting your own way. Bottom line, you enjoy good food, soft music, and a cozy couch. But you need to make time for exercise as you tend to put on weight. Your lucky dog number is 11. 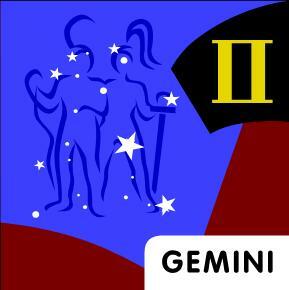 Gemini Dog Personality Traits: Energetic, Clever, and Impulsive. For the Gemini dog it comes down to 2 choices: bark or play? This little noise maker is usually up for anything. You never tire of new adventures. The more activities the better. You are not content wasting precious hours of the day lying around, when there are so many other things you could be doing. You truly have a zest for life. You excel in outdoor activities and enjoy the company of other canines. Going to the dog park is a favorite outing so you can interact and socialize with other furry pals. Your lucky dog number is 5. 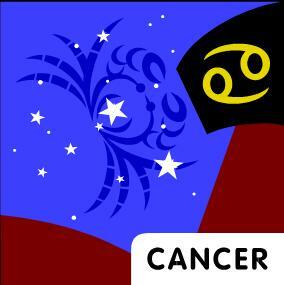 Cancer Dog Personality Traits: Loyal, Adaptable, and Caring. The Cancer dog motto: There's no place like home. You love being with your family and are totally in sync with them. If a family member is sick, you'll stay right by their side until they're all better. Forever loyal, you can't imagine a better place to be than at home. You like being part of a large family and receiving lots of love and attention. You are slightly oversensitive and if you are ever scolded, you will retreat to the corner of a room until your owner forgives you. Your lucky dog number is 15. Leo Dog Personality Traits: Confident, Loyal, Domineering. 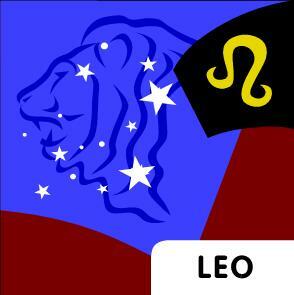 The Leo dog is a born leader, strong-willed and independent. You take pride in being King of your home. Some see you as a bit arrogant but you just know how to get what you want. You constantly seek attention and love being in the spotlight. You will perform great feats to entertain humans just to be adored by them. Because you are a bit spoiled, you always expect to get your way. You are self-confident and do not like being dominated. Your lucky dog number is 21. Virgo Dog Personality Traits: Sensitive, Observant, and Inflexible. The Virgo dog is a sensitive pup and completely in tune with the wants and needs of others. If there are other dogs living in your home, you are always willing to share your toys with them. You are very observant and always keep a watchful eye on what's going on. You can be a bit fussy and inflexible, preferring the same daily routine where you know what to expect. You are also a finicky eater and will only care to eat particular foods that should be fed to you at the same time each day. Your lucky dog number is 19. 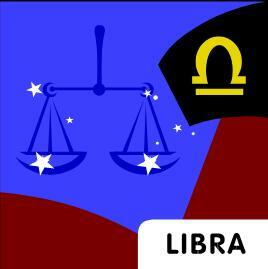 Libra Dog Personality Traits: Graceful, Peaceful, and Charming. The Libra dog likes excitement and new adventures. You have a well-balanced temperament and make lots of friends wherever you go. You are the happiest when you are with others. You sometimes like to stir things up and have a mischievous side, too. Just be careful you don't go too far! You might just bite off more than you can chew. You have an easygoing attitude and can handle whatever comes your way except alone time. You hate being alone and will do whatever it takes to be involved with your family or other pup pals. Your lucky dog number is 25. Scorpio Dog Personality Traits: Independent, Loyal and Passionate. 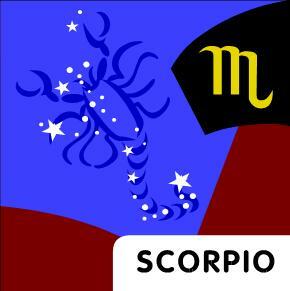 The Scorpio dog is fiercely independent and can accomplish anything he sets his mind on doing. You are the master of your domain and like to do things your own way. You don't mind exploring things on your own but remember to always bring your owner back some treasure you found hidden in the neighbor's trash. Being a loner, you might easily wander off a bit too far and therefore could definitely benefit from being microchipped. Although you make friends with other dogs quite easily, jealousy will rear it's ugly head if they start to get a little too much attention. You will quickly remind them that you are numero uno. Your lucky dog number is 1. 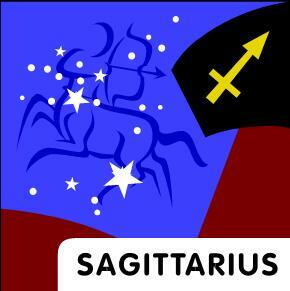 Sagittarius DogPersonality Traits: Independent, Adventurous, and Lighthearted. The Sagittarius dog is independent and a bit of a goof ball. You do all the little things that keep your family laughing. In fact, you're just one silly pup who is adored by everyone you meet. You are playful and have a positive nature. You are kind to other animals and quite selfless. You are never possessive or jealous and enjoy every single thing life has to offer. Your lucky dog number is 32. Capricorn Dog Personality Traits: Loyal, Patient, and Courageous. The Capricorn dog is a confident dog that is completely aware of their capabilities. You want to please your owners and are very obedient to command. You are easily trained which pays off for you big time. You are a bit wary of strangers and will vocalize a warning letting them know you are aware of their presence and watching them closely. You know your place in the family and do well in multi-dog households. You are a self-assured dog and a pleasure to be around. Your lucky dog number is 4. 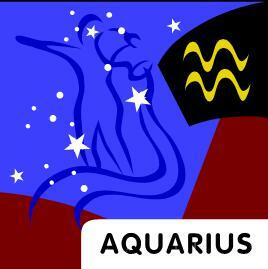 Aquarius Dog Personality Traits: Enthusiastic, Clever, and Independent. The Aquarius dog has but one thing on his mind, play time. Play, play, play! That's all you want to do. No time for cuddles the outdoors is calling. You excel in water sports and enjoy going fishing to help your owners get the Catch of the Day. You are an independent dog that does not like to be restrained. If you feel restricted in anyway, you will try to escape. You can be a bit stubborn and rebellious when you don't get what you want. Your lucky dog number is 18. 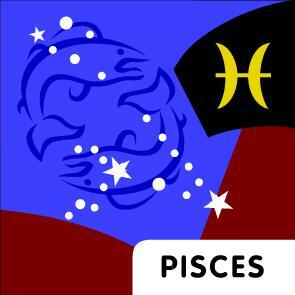 Pisces Dog Personality Traits: Compassionate, Adaptable, and Devoted. For the Pisces dog it's all about having fun. You easily adapt to any situation and accept things for what they are. You are completely devoted to your family, although there is usually one person you really attach yourself to. You enjoy the water and love going to the beach, a day at the lake or for a boat ride. When you are at home you enjoy a comfy spot on the couch next to your owner. Your lucky dog number is 26. Was your Schnauzer's dog horoscope accurate?